Looking for smoothie blenders with to go cup sets? You're in luck! We've listed out 9 affordable models that you're going to love. 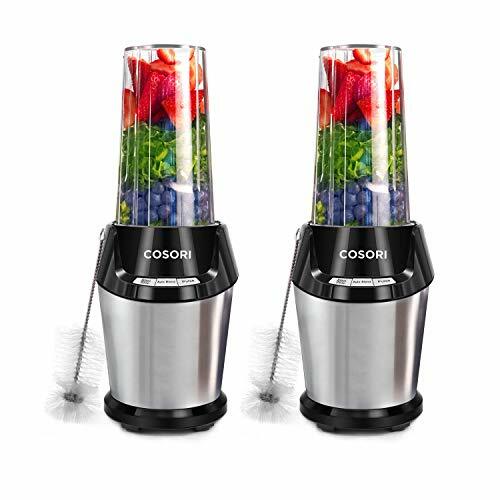 Not only does this blender come with two cups and travel lids to make bringing your smoothie with you easy, but it also boasts three stainless steel blades that are strong enough to power through any ice or frozen fruit that you want to blend. The large capacity tumbler will let you blend up to 25 ounces of delicious smoothie, while you can use the smaller milling container to grind spices and oats, if desired. 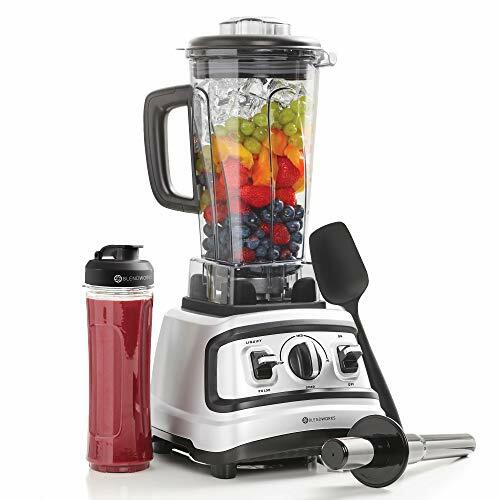 The powerful blades on this blender are able to pulverize frozen vegetables and fruits, as well as ice, to provide you with a rich and creamy smoothie. The power base can be used with both the flat and the emulsifying blade, which lets you blend and grind easily. Take your smoothie with you in the to-go cup, and enjoy the handle that comes on one of the lids. 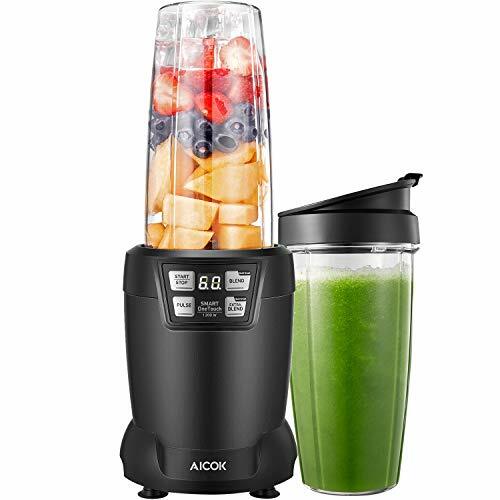 The durable base is heavy enough that you don’t have to worry about the blender moving around on the counter-top when you are operating it, and the 600 Watt motor is strong enough to blend multiple smoothies back to back without any problems. The blades rotate so quickly that you can easily liquefy any ingredients, including frozen fruit and hard vegetables, and you enjoy all of the benefits of these food items. When you use this blender, you will enjoy some of the creamiest smoothies ever, thanks to the speed and power of the motor. There are two manual speeds, and the digital timer counts down how much longer you have to wait for your drink to be finished. 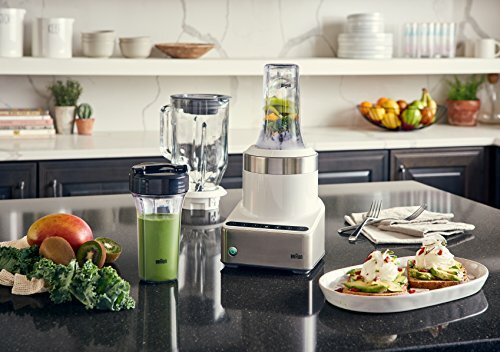 Check out how easily it crushes ice below..
With an impressive 1,000 Watts of power, the motor on this blender from Braun can finely blend even the toughest vegetables or nuts that you want to include in your smoothie. The rubber coating inside the blender results in a quieter blend so that you don’t have to worry about waking up your family if they are still in bed. 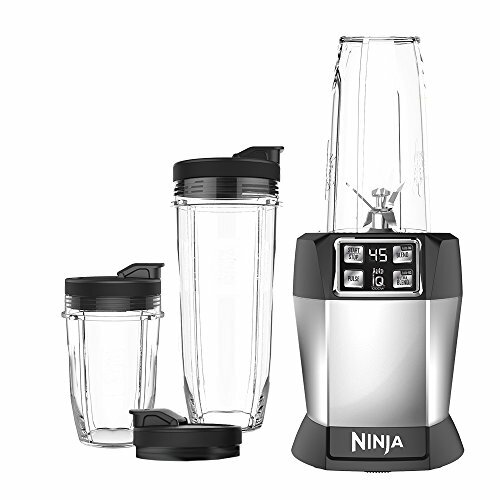 The blades, jug, and blade holder quickly come apart so that you can clean the blender without much work. Choose between chop, ice crush, or smoothie programs with the touch of a button, or select one of three different speeds or the pulse feature to customize your drink. With 23,000 RPM, it’s easy to see how powerful this blender is and that it can easily chop and blend anything that you put in it. Not only can it blend vegetables and fruits, but it can easily power through nuts and even ice cubes without any problem. The stainless steel blades can easily be removed for easy cleaning, which prevents you from having problems with food that gets stuck underneath them. You can use the pulse feature if you have problems getting the food chopped down to a small enough size. The removable blade, as well as all included accessories, are safe to put in the dishwasher, which decreases the amount of time that you spend cleaning up your kitchen. The large 8-cup capacity jar allows you to make a huge batch of smoothies or soup and then portion it into to-go cups so that you can take it on the road. The blades switch between moving forward and backward, which helps to draw food into the blades and ensure that the final result is perfectly smooth. Use the manual settings or the preprogrammed settings to perfectly customize the food that you are blending, mixing, chopping, or pureeing. The all metal drive comes with a lifetime satisfaction guarantee, so you never have to worry about what you will do if it fails you. Additionally, you can blend directly in the to-go cups if you do not want to have to clean out the larger jar. The variable speed control means that you can make adjustments while the blender is running, allowing you complete control over the final product that you make. 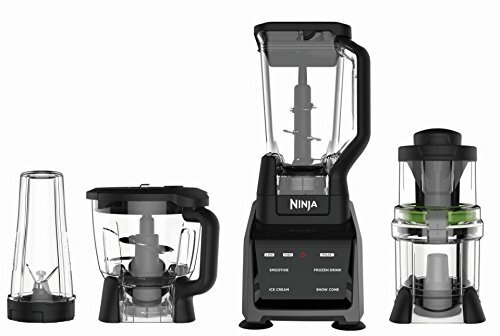 Additionally, thanks to the 6-way blades, you won’t have to worry about whether or not your blender is strong enough to power through any ingredients that you want to blend. The large 70-ounce container is huge, but it makes plenty of smoothie, soup, or sauce to share with family and friends. With four separate attachments that will allow you complete blending, crushing, and grinding control without you having to sacrifice power, you will be able to blend and prep for meals and then quickly clean up. The 1200 Watt base is powerful enough to force the strong blades through ice cubes, frozen fruit, and hard root vegetables without problems. 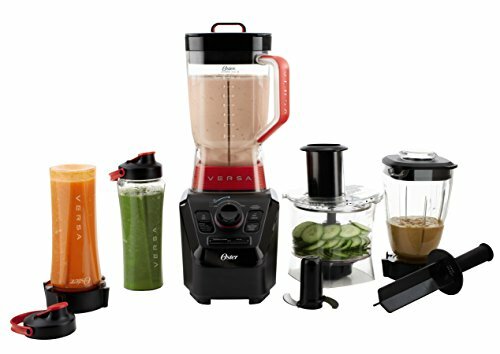 You’ll love the processor bowl, crushing pitcher, blender cup that lets you take your smoothie on the go, and auto-spiralizer. Blend directly in the blender cup, and then take it with you so that you don’t have to worry about washing out the pitcher. With two different travel cups, you and another person will be able to blend and take your meal with you on the go. The powerful motor runs at 1200 Watts, which means that you can create velvety drinks without any problem and that you won’t ever have to worry about chunks in your smoothie. Trust the one-touch technology for programs that will automatically run, combining pausing, blending, and pulsing for the best final product. 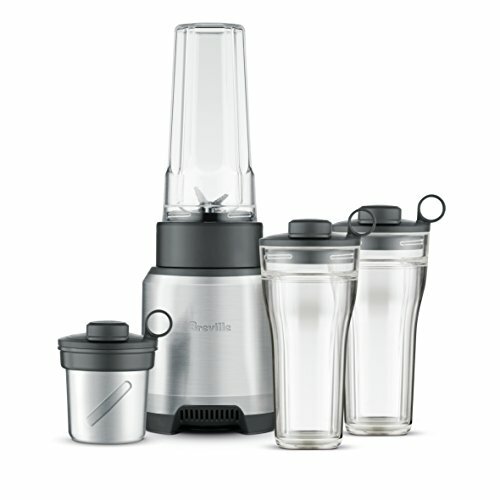 Additionally, you can power through seeds, frozen ingredients, and ice without worrying about the blender slowing down. 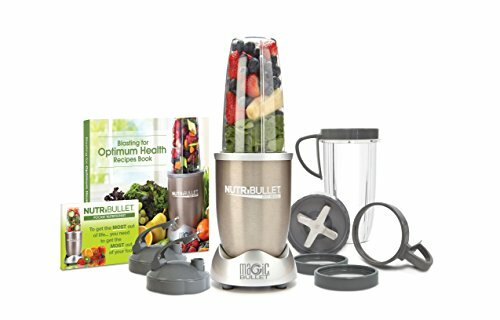 The two year warranty on this product will give you peace of mind that if something goes wrong with your blender, it will be taken care of right away.